It was only a matter of time before I got nominated to do the ALS Ice Bucket Challenge, and that time has now come. 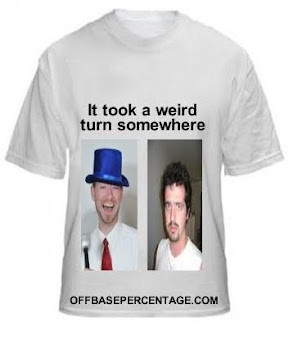 Among my challenges is Off Base Percentage founder, MTD, and friend, the Natural Mevs. Rounding out my selections are Angels bloggers from LA Angels Insider (Kevin Lappin) and Angels Win (Chuck Richter). In the spirit of raising awareness for a disease that is horrific and has no cure, I dumped a bucket of ice water over my head. In the spirit of actually doing something and not just looking for a way out, I will be donating to the ALS foundation. You can do the same by following this link. So far, Ice Bucket Challenge donations have totaled $88.5M. Let's push this to over $100M.